Best Manga Website to Read Manga Online Free. Though nowadays, there are many animated TV series available based on Comics. But still, many people love to read comics. Because comics get released faster in comparison of animated TV Shows. If you’re a dedicated reader of manga titles. Then, you already know that the Manga series are very long. Even, if you collect one Manga series print volumes. 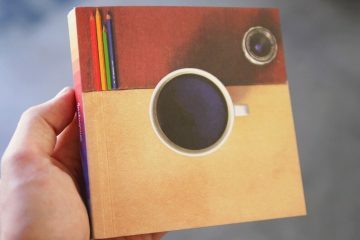 Still, it will occupy a lot of space on your bookshelves. That’s why it makes sense to read Manga digitally on your existing devices. Even, I have written an article on the best websites to read comics online. And, some of those websites, also provides Manga Comics to read. But, still, if you specifically looking for some best Manga Website. Then this article can help you with that. Comics created in Japan, or Japanese style comics are known as Manga. Outside Japan, Manga term refers to comics originally published in Japan. In Japan, almost people of all ages love to read Manga. And, because of the popular One Punch Man superhero WebComic. Manga is now famous worldwide. In the manga, a broad range of genres available: adventure, action, comedy, detective, drama, horror, romance, mystery, fantasy and many others. Typically, Manga stories are printed in black and white print. Although now there is some full-colour manga available. Real Truth Behind Manga Apps and Sites. One thing you should be aware of that, Manga isn’t available for free, legally. Yes, there are some sites, that claims to provide free Manga. But, those sites will engage you in piracy. On some sites, there are English-licensed titles available. But, those are actually unlicensed series, that is translated by fans. Well, don’t worry, if you’re here, to read some free Manga online. Then still, I will tell you some source to read manga online for free. I’m not trying to give lecture anyone, just wanted to tell the real truth. Well, I think now, instead of knowing the history of Manga, now you want to read some Manga comics. 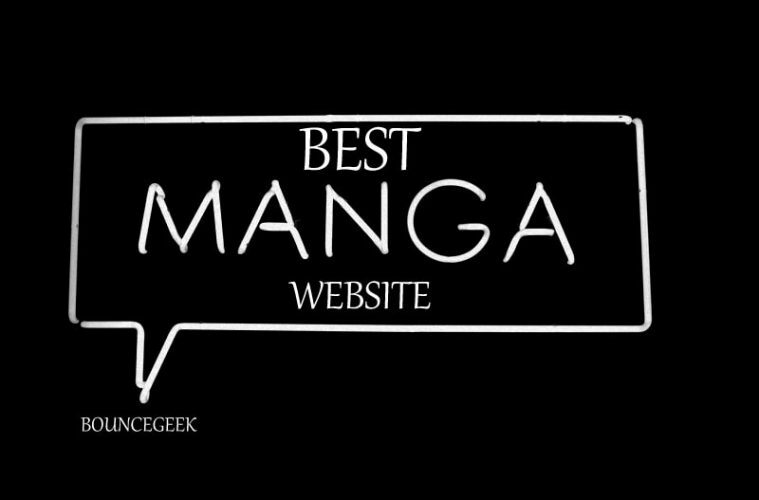 So, here are some best Manga Websites. Well, Instead of getting directly into piracy. First, I would like to mention some legal sites to read manga online. When it comes to Comics, we can’t ignore ComiXology. It is a cloud-based digital distribution platform for all types of comics. The site offers more than 100,000 digital comics and books. In which, graphics novel and Manga are included. 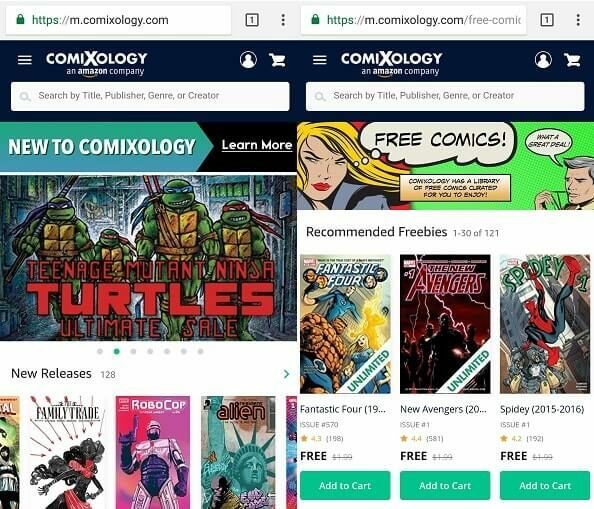 The online shopping giant company Amazon acquired the ComiXology, back in 2014. That’s why there is an unlimited subscription program also available. There isn’t any special device required to read Manga on ComiXology. You can use your existing Android, iOS and Kindle Fire device. Or, you can read Manga on your PC using Windows 10. Currently, On this site, there is a digital sale running on One-Punch Man comic. So, if you’re interested in that, you can purchase. If you love to read Marvel, DC and Image Comics. Then, chances are that you’re already using ComiXology. If yes, then, no need to look for another App or site. Almost all North American Manga comics publishers make their comics digitally available on this platform. But, the only problem is – not all Manga series are available in digital format. So, your ComiXology Unlimited subscription will not work for the print edition. If you’re anime lover, then you may have already heard about Crunchyroll Site. Most of the people know this site as Anime Streaming Site. But, it is also one of the Best Manga Website. The site allows watching anime after an hour of the broadcast in Japan. Also, the site offers a decent collection of Manga titles. But, some big publishers Manga like Viz titles is missing. Though, you can find out Manga published by Kodansha USA, Seven seas Entertainment, Vertical and many others. 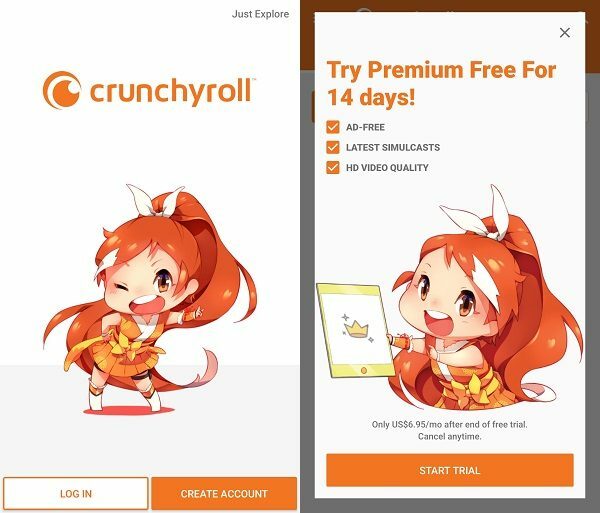 Crunchyroll site does offer 14-days trial of premium subscription. So, you can decide, $6.95 per month subscription worth it for you or not. Well, according to me, it’s completely worth it. Because, apart from Manga, you can watch Anime. Searching for your favourite Manga comics is pretty easy on this site. You can sort all Manga in alphabetical order. The Crunchyroll is available for Roku devices, Boxee, Wii U, PlayStation, Xbox, Android, iOS and even on Windows Store. If you’re looking for some free Manga to read. Then, Book Walker might be the best manga website for you. Every Month, site do release some free Manga. That you can purchase for $0.00 and they can read in the App or even browser. Book Walker is basically a global store for Manga and light novels. And, it’s kind of like Amazon’s ComiXology. There are two versions of this App available, one is global and another one is Chinese. The only downside of this site is, it is based in Tokyo. So, the site does charge foreign transaction fees. Personally, I don’t like the user interface of the App. You have to download the font pack, before reading any Manga. 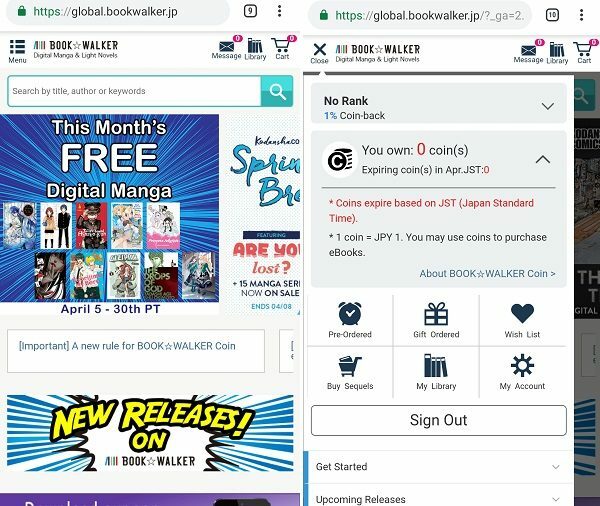 With the book walker site, you can even pre-order upcoming Manga. On Book Walker, you can find out 10,000+ Manga. It is an official digital book store, that is run by KADOKAWA. Also, Manga is available from multiple publishers: J-Novel Club, KADOKAWA, Kodansha Comics, Seven Seas Entertainment, VIZ Media, Yen Press and many more. Shonen Jump is the official and trusted the source to read manga and comics, straight from Japan. You can read the latest chapter from the hit series for free. Include hit series like One-Munch Man, My hero Academia, Dragon Ball Super, Boruto, One Piece and Naruto. 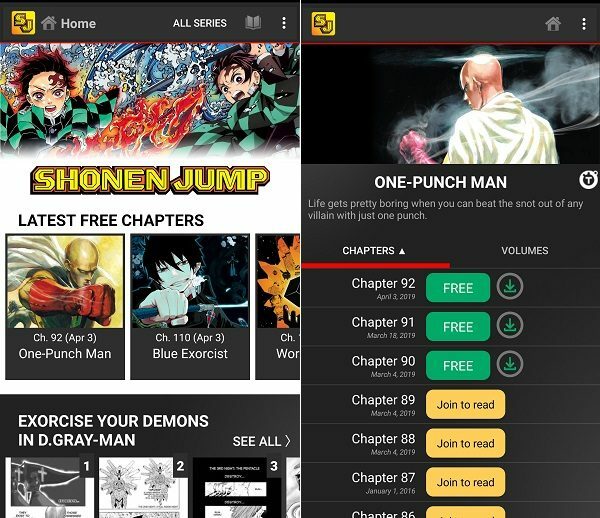 By becoming a member of Shonen Jump, you can unlock 10,000+ Manga Chapters. You can find out every series that Shonen Jump has published in English, like Naruto, Death Note, Bleach and Haikyu. Membership of this App is only $1.99/month. Also, you can start your 7-day free trial. You can also read free previews of some paid volumes before purchasing. The App allows downloading Manga for offline reading. If you like to read the romance genre Manga. Then, Renta would be the best Manga WebSite for you. On Renta, you can rent a tittle for 48 hours. Or, can buy permanently. The site host English language romance Manga. Because the site has its own translation team. To buy a Manga, you can either pay directly or can buy rental points. Which you can later use to buy or rent. Buying points in bulk will give you better value. The site offers discounted point bundle, so keep checking the site for that. MangaRock site is currently in beta state. But, still, manage to offer thousands of Manga Comics for free. You can browse Manga from multiple genres: 4-Koma, Action, Adventure, Demons, Drama, Romance, Horror, Magic, School Life, Supernatural, Sport and many others. Also, you can sort Manga according to characters and Author. Which is the rare feature, even in premium site. You don’t need to signup or pay money to read manga on this site. But, the site contains ads, which you can disable using some chrome extensions. Previous ArticleHow to Dual Boot Bliss OS with Windows. 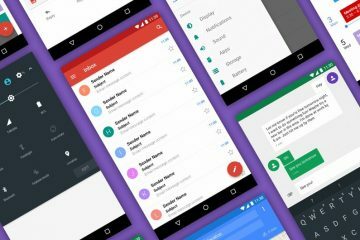 Android Pie OS. Next ArticleDo you need to set up a website on WordPress? 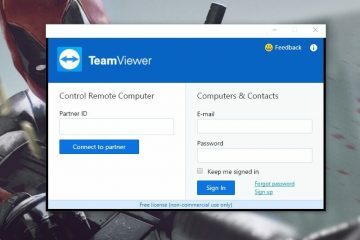 TeamViewer Alternative – Best remote desktop software. 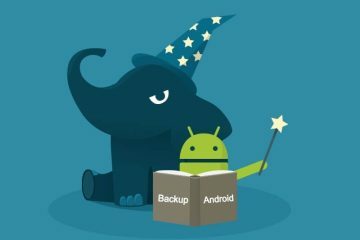 Best Android Backup Apps and Tools to Keep all Data Safe. 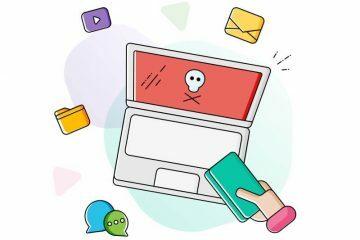 Ransomware protection for Windows PC and Prevent Ransomware. Best Windows Explorer Alternative – File manager for Windows. Best Custom ROM for Android and all things that You need to know.